Nestled in the Capay Valley just outside Sacramento and San Francisco you'll find Northern California's premiere casino resort. You'll be surrounded by thousands of exclusive slots machines and hundreds of table games. Enjoy a little downtime by the pool or test your golf game at our championship Yocha Dehe Golf Course. Ten incredible dining options, world-class entertainment and electric nightlife are just the beginning. Whether you are here to celebrate, unwind or for the love of gaming, we'll make you feel like a winner. Unlock your share of the vault! $10 Dining to each round winner! With 200 deluxe rooms and lavish suites from which to choose, you'll enjoy an upscale respite after a day of gaming and golfing. Choose from more than 2,000 slot machines. Zones with 95-99% paybacks ensure more winners! If you enjoy cards more than slots, we offer hundreds of table games to choose from. Enjoy Blackjack or Baccarat in our High Limit room equipped with a full-service bar. Enjoy unmatched benefits, perks and exclusive promotions when you become a Cache Club member. Take part in special tournaments, get dining discounts, or snag tickets to world-class entertainment. The finest USDA prime Midwest corn-fed beef and the freshest seafood in a relaxed yet elegant atmosphere. Mouthwatering, upscale delicacies from the Asian Pacific Rim. Specialties include Asian, Mexican, Italian and regional American, with chef's action stations and serving counters. A quick stop for a variety of tasty selections from the Pacific Rim. Hearty favorites and ethnic selections in a 24-hour casual atmosphere. Prime burgers, great pizzas, signature hot wings and more, plus a wide selection of both draft and bottled beers. Fresh, quick-serve Mexican-themed eatery, representative of the Baja, California region of Mexico. An array of house-made sweet treats, plus Java City coffee drinks, in a 24-hour dessert parlor. Clubhouse favorites and specialty selections in a casual environment with panoramic views of the golf course. Upgrade your staycation or weekend getaway with an elegant spa treatment. Choose from facials, full-body pampering, exclusive massages and salon services. Take time to decompress in our private relaxation areas and VIP room. Amateur golfers and professed golf pros alike will enjoy playing at our Top 50 Casino Course while being surrounded by the stunning Capay Valley. Schedule your golf lesson or tee time then enjoy a delicious meal or drink in our stunning clubhouse. 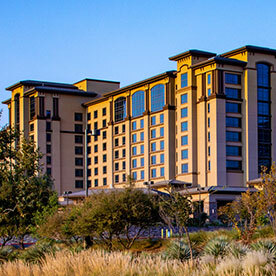 Owned and operated by the Yocha Dehe Wintun Nation, Cache Creek Casino Resort has expanded from a simple bingo hall in the mid-80's to an over 400,000-square-foot luxury resort, spa, golf course and casino. Learn more about our story and personal commitment to creating the ultimate experience for all of our visitors.